The Mercedes Atego-Scheunenbrand ladder truck, a paragliding favorite! When it comes time for a rescue, there's nothing quite as handy ... as a rigid frame. Unlike hang gliding, which requires a clumsy rooftop carrier to transport a glider capable of reaching a landing area, all today's paraglider needs is a car trunk or an empty back seat and a 12-ton ladder truck manned by a willing crew. The ever popular Mercedes Atego-Scheunenbrand ladder truck. When you see one, you know you are getting near a paraglider flying site. Ladder trucks are an essential part of paragliding. Without them, people would be forced to fly hang gliders (which can reach the lz). 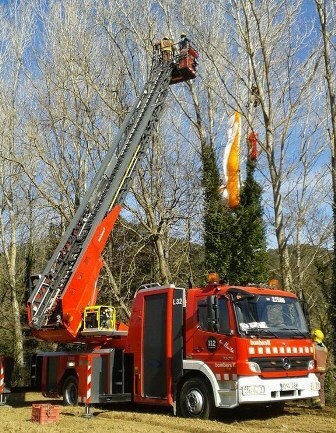 Here, a ladder truck is used as a crane. "We need one of those for our club!" says the paraglider guy. 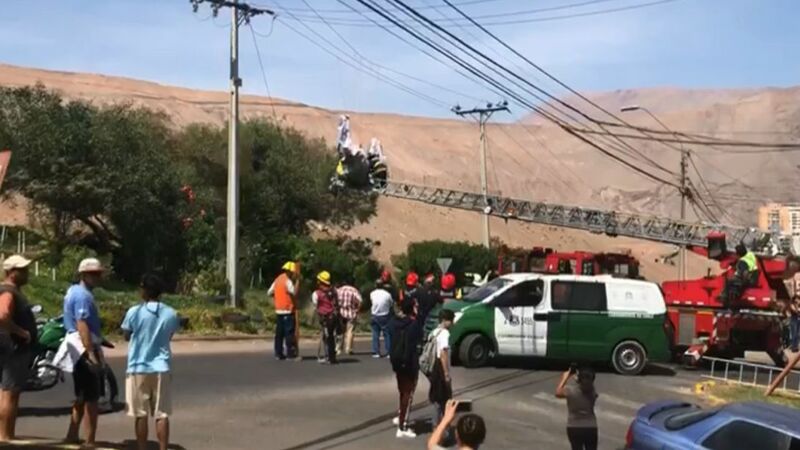 Here a ladder truck is used as a crane to retreive a paraglider from the side of a cliff where he crashed. Police confiscated the naughty paragliding canopy. "If it wasn't for these ladder trucks, we'd have to fly hang gliders," said a paraglider guy.